What will you choose: life or death? Jesus strolled into Bethany. His dear friend Lazarus had died four days earlier. 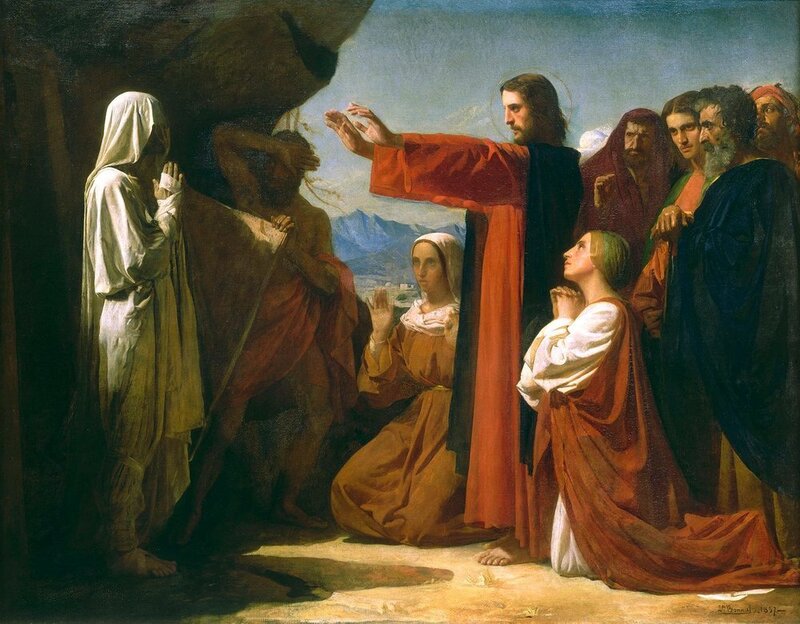 Lazarus’ sisters were not happy that Jesus had arrived so late, and had not saved their brother. Blaming Jesus for our problems is common, even in today’s world. We forget that we are living, breathing, thinking, and feeling; that we make our own decisions and when we fall, God will always be there to bring us back up. Jesus, being Jesus, weeps at Lazarus’ Grave. He performs a miracle, “a sign of God’s Presence and Life Saving Ways Among Us”, and raises Lazarus from the dead! Jesus called to the others to “Unbind” Lazarus and to participate in “God’s Loving, Healing Works”! Those who saw, now believed.